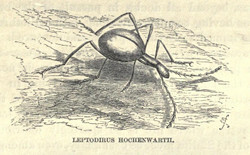 Image: Leptodirus hohenwartii on old lithograph from Georg Hartwig (1813-1880), published in The subterranean world (1871), page 163. Public domain. 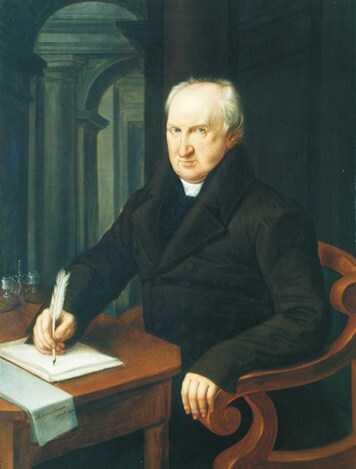 Image: Franz Graf von Hohenwart, 1835. Public domain. 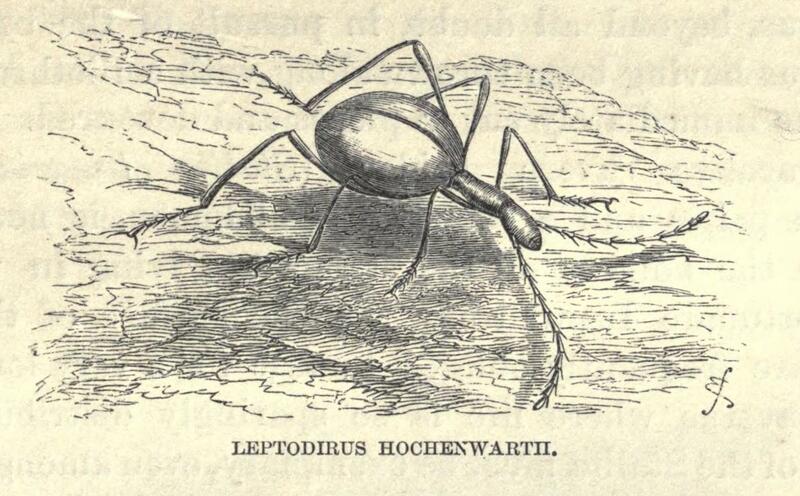 Search Google for "Leptodirus hohenwarti"